This looks like a great, FREE opportunity for anyone interested in making their data more "digestable" for the average person. 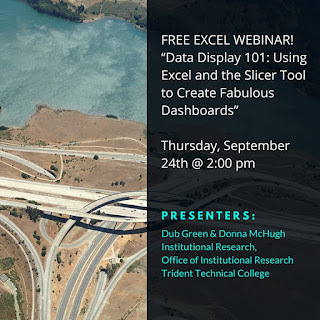 Anyone should be able to understand the data that your office/center provides and dashboards/infographics enable YOU/YOUR OFFICE to provide this data for the general population (internal and external to the university/college). 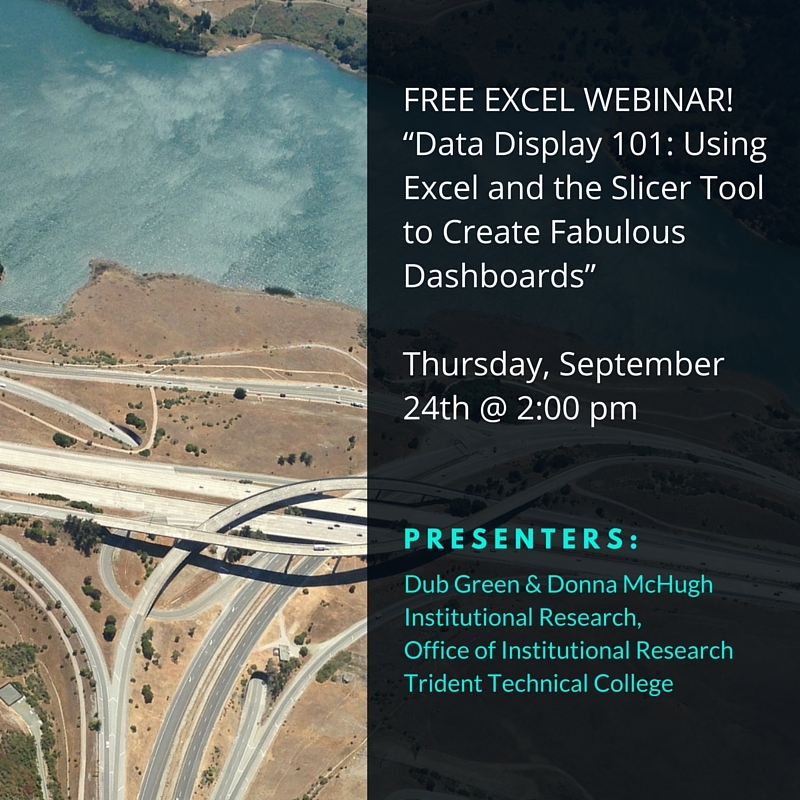 This webinar will use Microsoft Excel 2010 (or newer) to easily produce an updatable, user friendly grade distribution dashboard. We will design a couple of different views (i.e., by course, by instructor) and create one or two calculated fields (i.e., overall success rate, overall success rate without W’s). We also will discuss the ease of the updating process. Example data will be available for any participants wishing to actively participate and build a dashboard.